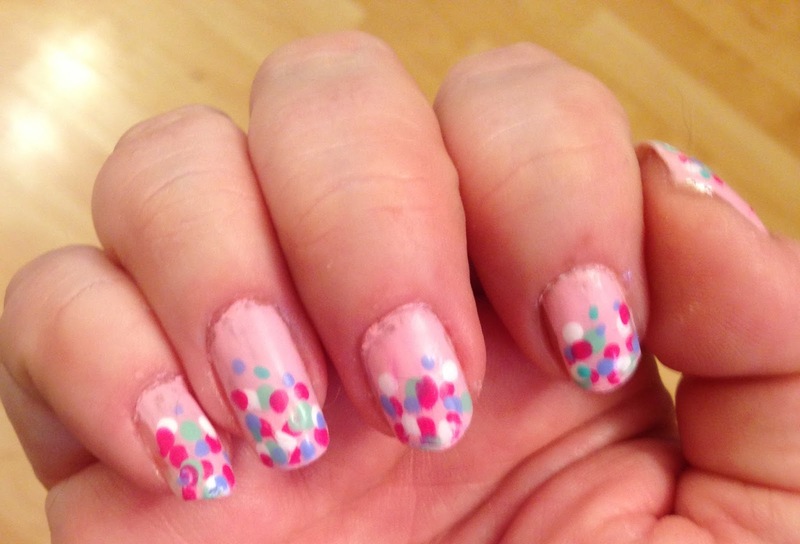 I wanted to keep this dotticure to the tips of my nails with a few dots coming up to the middle – kind of like a French tip (you know how I love a French tip design). I also wanted to use bright spring rainbow of colors but you can use any colors you would like. I used a dotting tool but you can also use a toothpick. It’s a pretty design that is really easy to do. - Apply base coat to protect the nails and prolong the manicure. - Apply a sheer light pink base color. Let completely dry. - Using a dotting tool or toothpick dipped in a color other than your base color (I chose dark pink) apply medium sized dots to the nail. Try to stay between the tip and middle of the nail. - Apply 3 or 4 dots onto the nail and then alternate colors. 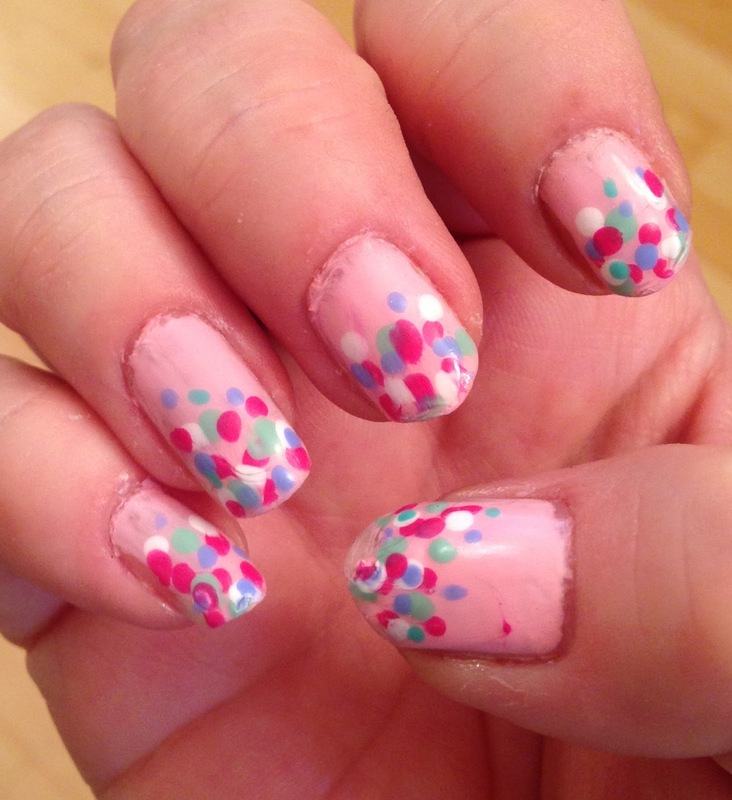 - Apply a few small dots in various colors to the nails. - Apply a Top Coat and this is optional apply a Matte Top Coat for a velvety finish. Hope you liked this easy colorful design!